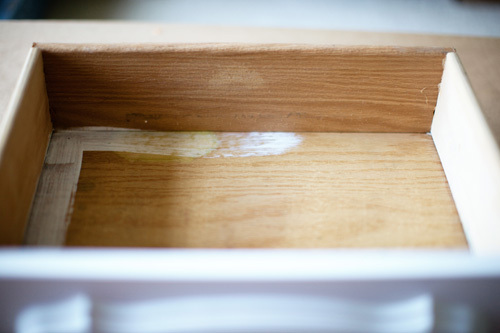 After I finished painting this table I knew I had to do something about the stained and dirty insides of the drawers. I could have primed and painted them but I envisioned a pattern instead. I looked for drawer liner paper but didn’t find anything I liked well enough. 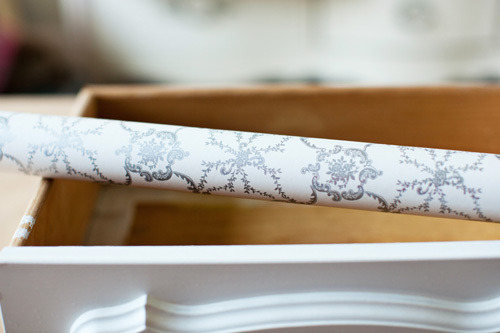 Then, I found this wrapping paper at Michael’s and decided to decoupage! You can buy decoupage products like Modge Podge at any local craft store but I made my own because I didn’t have any on hand. 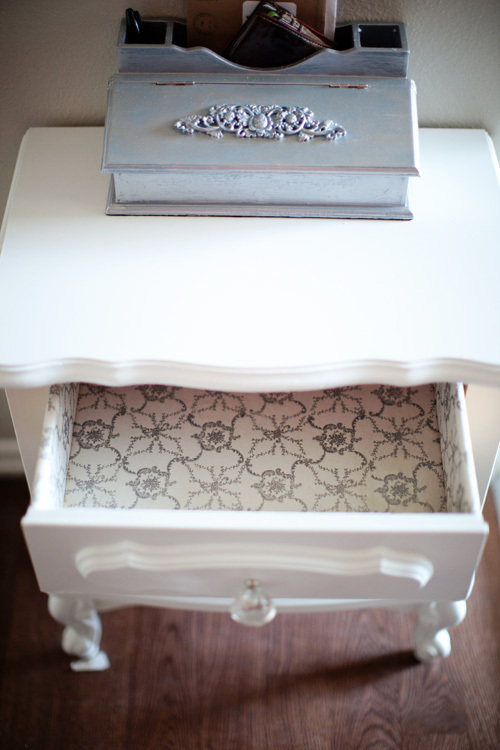 This homemade version leaves a matte finish but Modge Podge has different finishes you can choose from. You can use polycrylic or something similar as a sealer with more shine or lustre if you decide to. 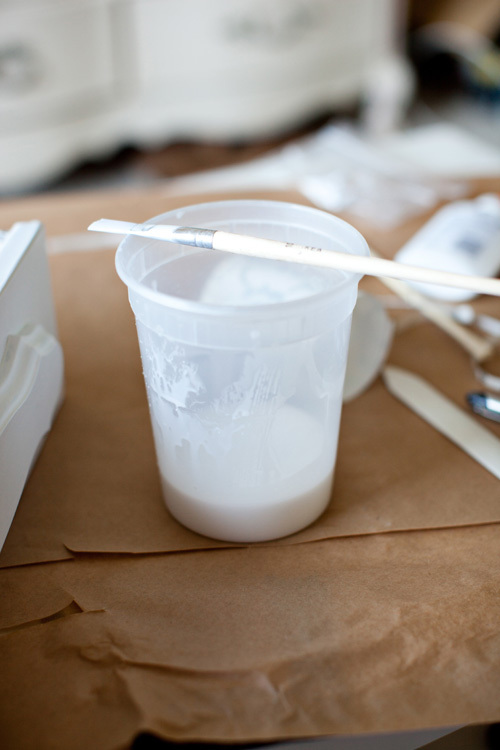 Mix 1 part water with 1 part white glue for your “decoupage” mixture. If it feels too watery, use more glue. This is is the wrapping paper I picked up for $3. Then lay your pre-cut paper over it. 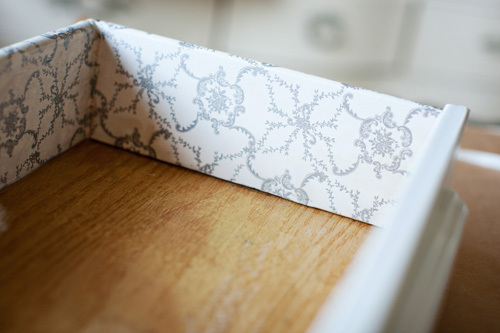 Smooth it out using the side of a credit card, popcycle stick, or wallpapering tool. 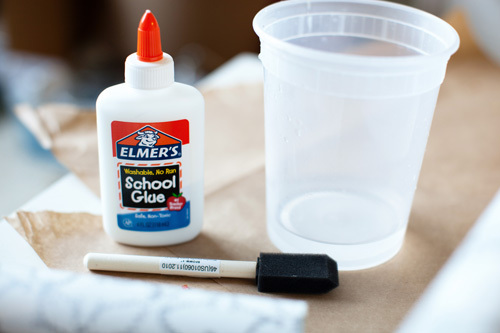 Add another layer of glue over the top of the paper to seal it. Carefully smooth out any wrinkles or bubbles and let dry. Voila! Thanks! So far so good! If you’re going to be using this in something like bathroom drawers, I would recommend you seal it with something like a polycrylic sealer…or use real Modge Podge of course :).